Hello! My name is Loredana and this is the story of how our bear projects started. A little girl in Africa had AIDS and asked that she be buried with her bear because it was her only friend. The bear had been donated by the Mother Bear Project organization. Touched by the little girl's story, I made the decision to knit 250 bears as my first gift for hospitalized children at the Shoe4Africa hospital in Kenya - East Africa's first public children's hospital. As months passed, I envisioned doctors prescribing bears to children about to undergo medical treatments. And then something beautiful happened: friends, co-workers, family members and others voluntarily joined the effort. Today, people in two continents are making bears and, project ambassadors are delivering them to children. So far, thanks to all of our efforts, more than 5000 bears have been distributed in over 20 countries. 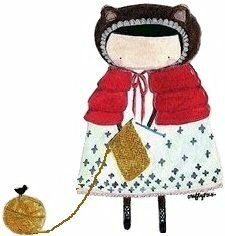 My sincerest gratitude to all the knitting artists, ambassadors and benefactors. Who is an ambassador? An ambassador is a person who bring our bears to the children. If I make bears following your pattern, may I contribute my bears to your projects? Yes. Projects are open to all who wish to contribute. Follow the pattern on our web site and contact us. We will provide you with an address where to send your bears. May I coordinate a project in my area? Absolutely! It is a rewarding experience to coordinate a project and we are here to answer any questions you may have. Just remember: the coordinator has overall responsibility for the project and inspects all bears to make sure they are safe for the children. Only yarn and poly-fill (synthetic cotton) must be used to make the bears. No buttons or any other objects are allowed. Do I need to be part of a group to do a project? Not necessarily. Projects can be done by one person or by a group of people. A mother may organize a project for her child. The owner of a knitting store may organize a project for his/her clients. A group of seniors may get together to work on a project for their religious organization. These, of course, are only a few ideas. How many bears are in a project? Projects can be as little as 3 bears or as many as your ambassador can carry. How do I get my project on your web site? Contact us and we will publish your project. Send us pictures of your bears - without people, please - and we will add them to the bear gallery. - Dana had texted me while she was in Kenya that she had the best day of her entire life. I assumed it was after the mission, they went on safari before returning to Nairobi to leave. Nope - it was the day she spent at the orphanage with the kids with malaria caring for them and giving them bears!. - Carla A.